CM/ECF is a comprehensive electronic case management system which allows courts to accept filings electronically and provides access to filed documents over the Internet. In order to file documents electronically for the United States Bankruptcy Court for the Central District of California, attorneys (and limited access filers) must first register online by completing an online registration form and either provide proof of proficiency in CM/ECF or complete an online training course. Unless otherwise authorized by the Court, proposed orders must be lodged electronically using the Court’s Lodged Order Upload (LOU) program. LOU is accessible via CM/ECF. The procedures for using the court’s LOU program are located in the Court Manual. Although there are no additional fees for filing documents over the Internet using CM/ECF, existing document filing fees still apply. Electronic access to court data will be available through the Public Access to Court Electronic Records (PACER) program at the current rate. CM/ECF Users receive one free look at documents filed electronically in their cases and can print and download the documents at that time. For more information regarding these and other fees related to PACER access, please visit the PACER website. Please refer to the Procedures & Guides and QuickLinks for additional information. 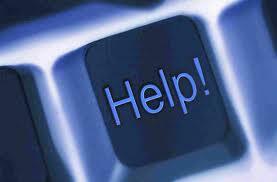 Questions may be directed to the Help Desk at (213) 894-2365 or via email ECF_Support@cacb.uscourts.gov. If you need additional assistance using CM/ECF, please contact the Help Desk between 9:00 a.m. to 4:00 p.m., Monday through Friday, excluding Federal Holidays. Or you may send an email to ECF_Support@cacb.uscourts.gov. A member of the Help Desk staff will contact you as soon as possible. Certain versions of Adobe Acrobat and other PDF editing software are known to cause serious document image quality issues when a PDF file is electronically filed through CM/ECF. As a result, all PDF files must be “flattened” before filing through CM/ECF. Instructions to flatten PDF files may be found here.